How Did David Rubenstein—Yes, That David Rubenstein—Become a TV Star? He's a socially awkward 68-year-old private equity titan—and his show is one of Bloomberg's fastest-growing programs. I’ve barely introduced myself, and David Rubenstein is trying to interview me: Where are you from? How old are you? Where did you graduate from? Mistakenly, I give the mouse a cookie, telling him the name of my alma mater. This sends Rubenstein into a fusillade of statistics—my college’s acceptance rates, attendance yield, current endowment. “No law school, though,” he says. I was warned Rubenstein might try this, an interrogative parlor trick he picked up somewhere along the way to becoming co-CEO of the Carlyle Group—by some measures, the world’s largest private-equity firm—and perennial board member of galactic national institutions such as the Smithsonian and the Kennedy Center, plus about a dozen others. The cross-examination is especially fitted to his new extracurricular: talk-show personality. 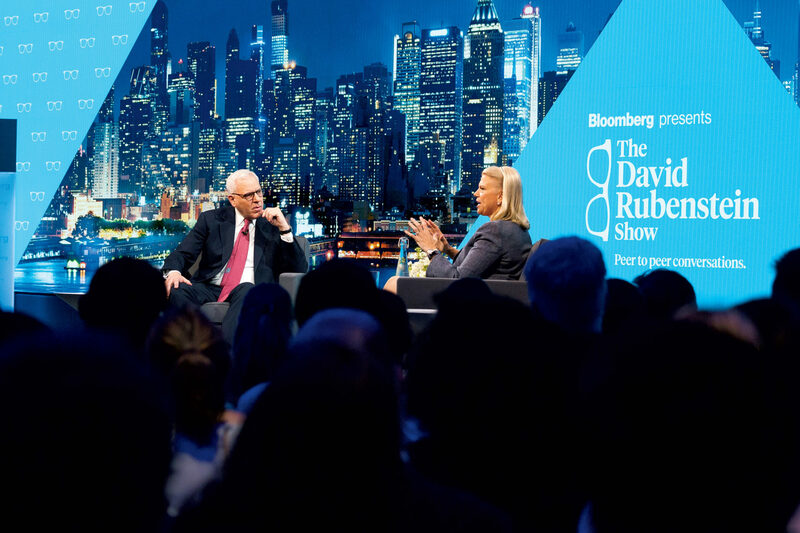 At 68, David Rubenstein is now host of his own show on Bloomberg Television. The half-hour program—The David Rubenstein Show: Peer-to-Peer Conversations—plops him beside fellow CEOs of the billionaire class, with the occasional sports star and military general thrown in: Berkshire Hath­away’s Warren Buffett, Oprah, Coach K, David Petraeus. The show, at first, raised eyebrows. Given his reputation—Rubenstein is known for an unprepossessing manner and an almost enforced personal awkwardness—the prospect of loosing him onscreen seemed about as plausible as asking Clarence Thomas to host Fear Factor. Indeed, Rubenstein’s not-made-for-TV persona turns up in every episode as he engages his subjects with a sorrowful deportment that appears vaguely related to sitting shiva. He scowls. He slouches. (He’s been advised, he says joshingly, to “sit up more straight.”) With a jaw that unlatches errantly and a gaze that wanders, he has the aspect of a man continually in deep recall for a geometry exam. But this is a setup, of sorts, for the show’s atonement: his oddball humor, which earns audience laughs during every shoot. He asked GM’s Mary Barra if she pumps her gas (she does), Nike’s Phil Knight if he writes $400-million checks by hand (it’s complicated), and Morgan Stanley’s James Gorman if he uses a money manager (he does—guess who). One might presume that awarding a prime-time slot (Wednesdays at 9 pm) to the most famous billionaire in Washington elevates the town’s gratuitousness to new heights. This summation would be correct if not for one thing: The show is doing well. Now in its third season, it’s one of Bloomberg’s fastest-growing programs. Viewership is up by 67 percent. A new agreement grants PBS affiliates nationwide the option to syndicate, meaning Rubenstein’s face could beam into every cord-cutter’s living room soon enough. Like the other billionaire resident of Washington who rode prime-time television into national prominence, Rubenstein is capitalizing on the market’s clearest trend: a new regime in which magnates can, apparently, do anything—not despite the poor fit but perhaps because of it. How did a private-equity billionaire come to try his hand at television? 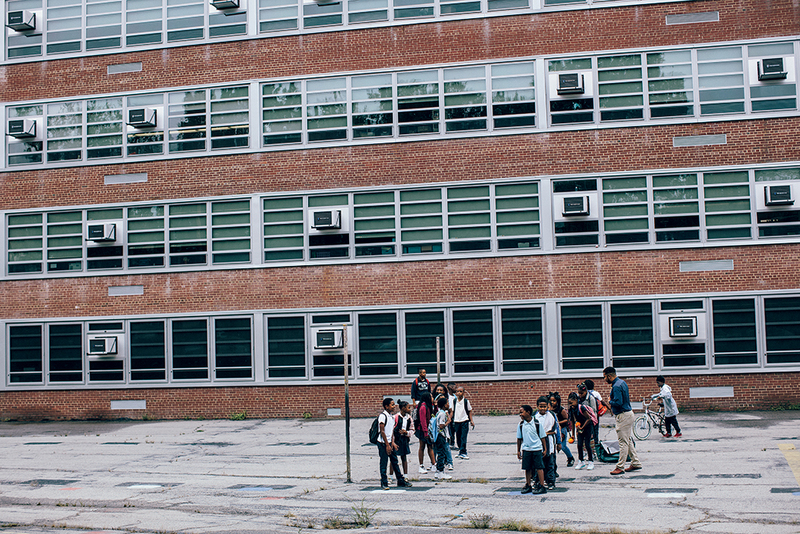 Rubenstein’s upward trajectory is a well-rehearsed tale. Born in Baltimore to parents of modest means—Dad was a postal worker, Mom a homemaker—Rubenstein became obsessed with studies in high school, the teenager who thumbed through multiple newspapers a day. A childhood friend recalls Rubenstein telling him he would be remembered as the hardest-working person anyone knew. Rubenstein graduated Phi Beta Kappa from Duke in 1970. (We did not discuss acceptance rates, attendance yields, or endowment). 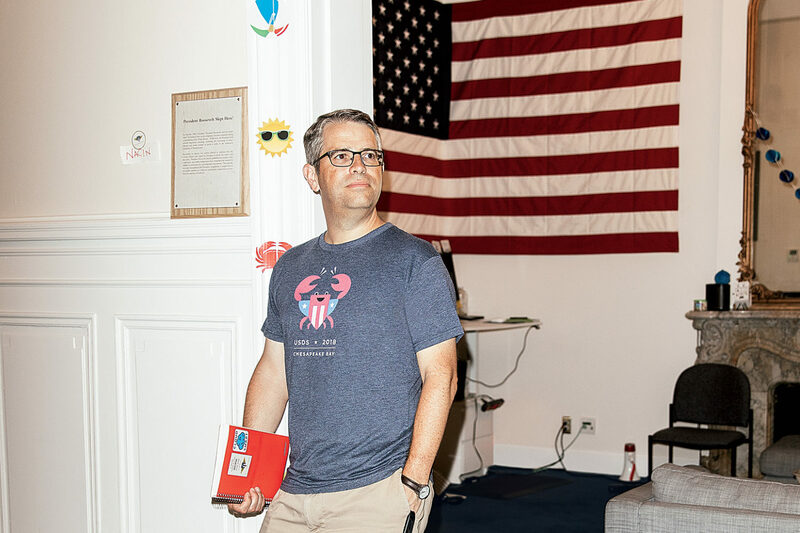 When he entered the Carter White House as a domestic-policy aide at 27, he spent so much time in the West Wing that he procured late-night meals from vending machines. In 1987, Rubenstein cofounded Carlyle, without business experience. 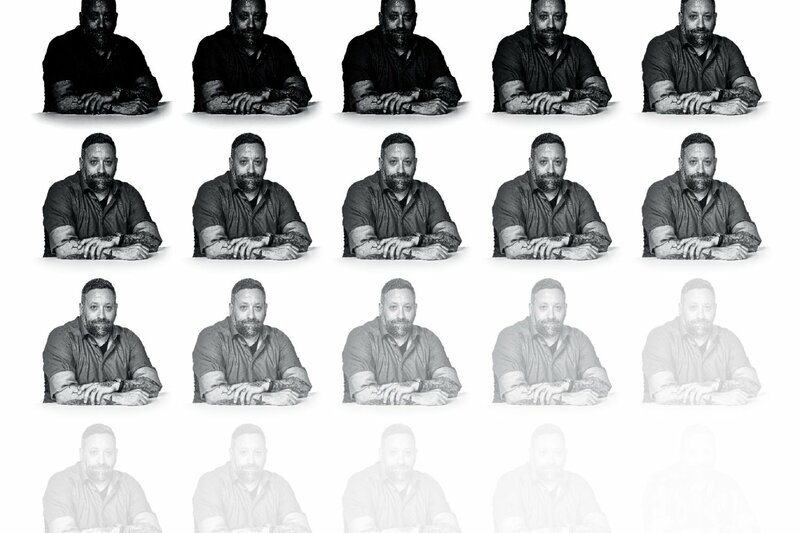 By the next decade, he had transformed himself into a virtuoso of private fundraising. Rubenstein was said to deliver his performances before would-be investors entirely without notes, memorizing sweeping details of markets and companies—and peppering clients with a level of inquiry that bordered on inquest. Photograph by Drew Angerer/New York Times. 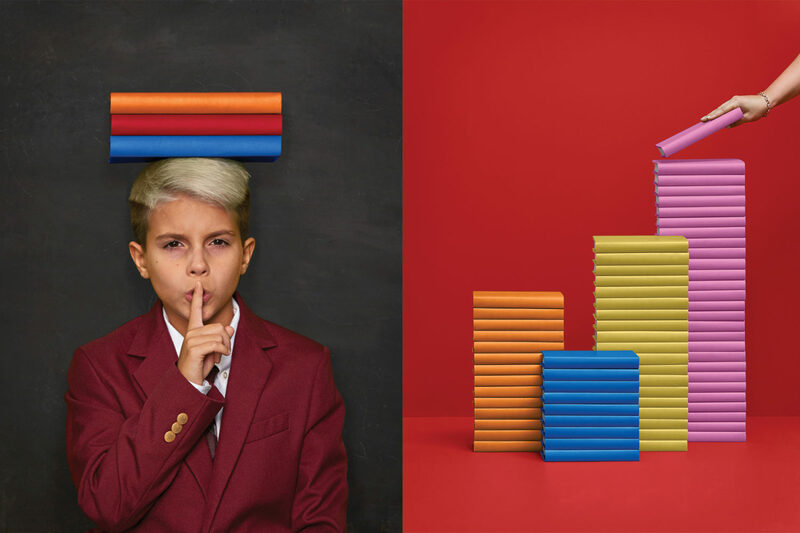 Growing bored with earnest audience queries about things like earnings per share, Rubenstein began to ad-lib, pretending his questions came from the crowd. Once, he asked an auto executive, “What actually happens when a salesman goes back to ‘talk with the manager’?” Attendance grew, and the club notched a record in March 2011 when he interviewed Bill Gates and asked him if he had a credit card. The world’s richest man demurred but hastened to add, “I don’t have a problem carrying money around.” The crowd of mostly middle-aged men roared. 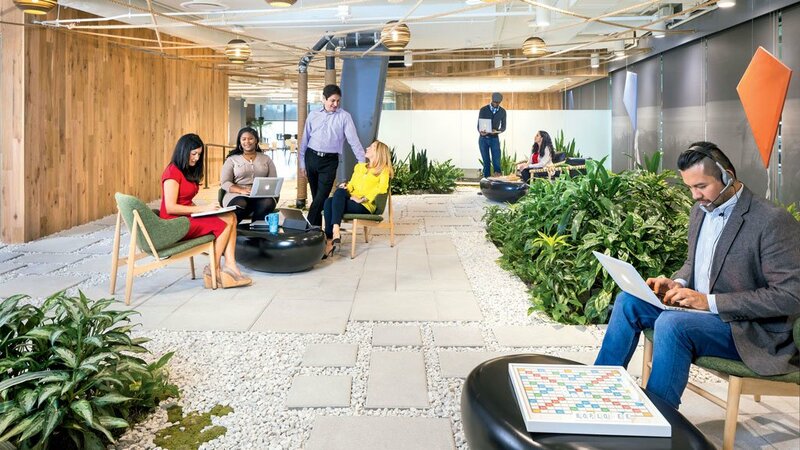 Whether in conference rooms or interviews, Rubenstein is said to have a strategic humor quota. In the show, this manifests as a journalistic invention you might call a Rubenstein Question, along the lines of that early interaction with Bill Gates. He has asked Mary Barra of GM if she pumps her own gas (she does), Phil Knight of Nike if he writes his own $400-million checks out by hand (it’s complicated), and Morgan Stanley CEO James Gorman if he uses a personal money manager (he does—guess who). Previously, Rubenstein’s most visible public project was the pioneering of so-called patriotic philanthropy. 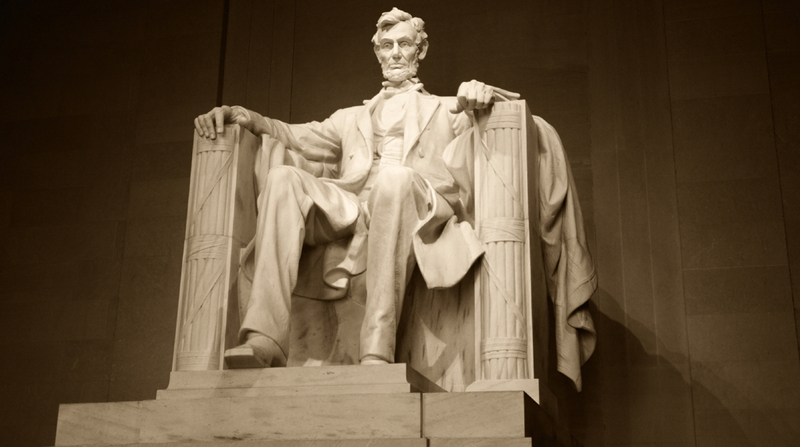 He has used his $2.9-billion fortune—abetted by a generous tax allowance called the carried-interest loophole—to repair the Washington Monument, buy a 1297 copy of the Magna Carta, and restore Monticello, acts of patrimonial salvation that prompted 60 Minutes to declare him “Clark Kent in a suit and tie.” This represents a marked reversal from the days when Carlyle often found itself in the public stockades for bad judgment (shadowy defense deals) and bad luck (hosting Osama bin Laden’s half brother on 9/11). The Washington-sanctified bonhomie that glimmers across The David Rubenstein Show is the finishing ribbon on a multi-year project of reputation rehabilitation and, it must be said, an impressive one. In less than a year, Rubenstein already has a waiting list of public figures—CEOs mostly, with potentially some pop stars and a few politicians—keen for this treatment. This is hardly a mystery. The show’s opening credits feature B-roll of Rubenstein musing, “I don’t consider myself a journalist”—words that are then plastered across the screen in bad-boy graffiti, as if to refashion this protective disclaimer into something more renegade. In 20 episodes, Rubenstein has asked approximately 735 questions. By my count, about 110 were Rubenstein Questions, 235 personal, and 320 job-specific. Some 70 were on policy or issues of the day. To his credit, these questions were worthy ones. He asked General Petraeus to diagnose the weapons-of-mass-destruction debacle at the CIA and Morgan Stanley’s James Gorman why Americans hate Wall Street. But the ensuing dodge from Rubenstein’s subjects rarely elicits a probing follow-up. Rather, his questions tend to revolve around overcoming the particular obstacles mounted by the onset of wealth and success, such as when he asked Gorman if he could get tickets to Hamilton easily. 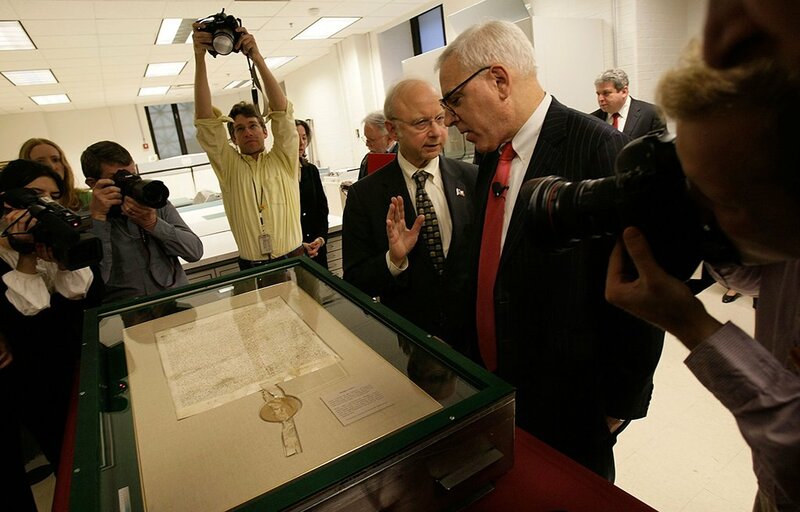 Rubenstein presents his copy of the Magna Carta to the National Archives. Rubenstein's philanthropy helped nudge his public image from connected financier to national treasure. Photograph by Getty Images. 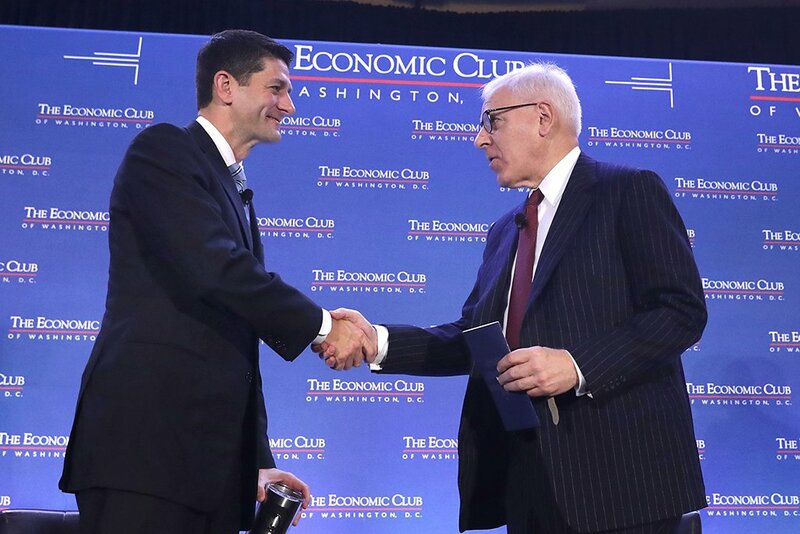 Rubenstein with Speaker of the House Paul Ryan. Photograph by Getty Images. 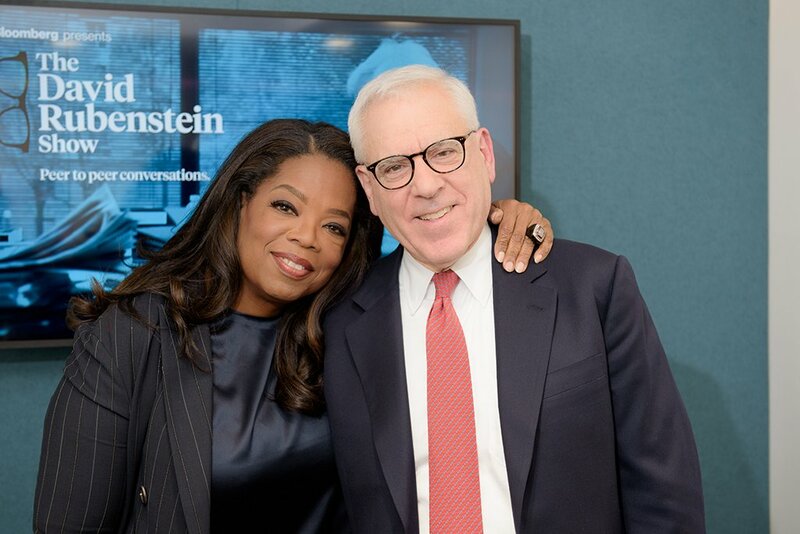 Rubenstein with Oprah. Photograph courtesy of Jean-Pierre Uys Photography/Bloomberg. The curious law governing Rubenstein’s show is that the less famous its subjects, the more interesting the conversations. The third season, for instance, can range from former Presidents Bush and Clinton—an encounter in which Rubenstein doesn’t pose a single difficult question—to Francis Collins, who directs the National Institutes of Health and from whom Rubenstein, a secular Jew, unspools the former atheist’s fascinating journey of becoming a born-again Christian, making it unquestionably the best episode of all three seasons. In a noteworthy sequence with Barra, Rubenstein prompted the GM chief to discuss a meeting at the White House. He asked, “What is Donald Trump like?,” to which Barra, discomfited, responded in part, “I would say it was a very productive meeting where we could share our views.” Rubenstein abruptly changed subject: “Why are you so successful in China? Do you manufacture the cars there?” The prospect of twinning the topic of outsourcing to the populist earthquake that had flung Barra next to Trump—thanks to a historic upset, no less, in her own back yard of Michigan—seemed to elude both interviewer and subject. Given his sagacious powers in business, viewers are often left to wonder why they don’t follow Rubenstein onto the stage. Camaraderie, not curiosity, is his stronger suit there, or so it would seem. The answers might offer some illumination into Trump’s soul (though Rubenstein already asked the military-school question of Trump back in 2014). 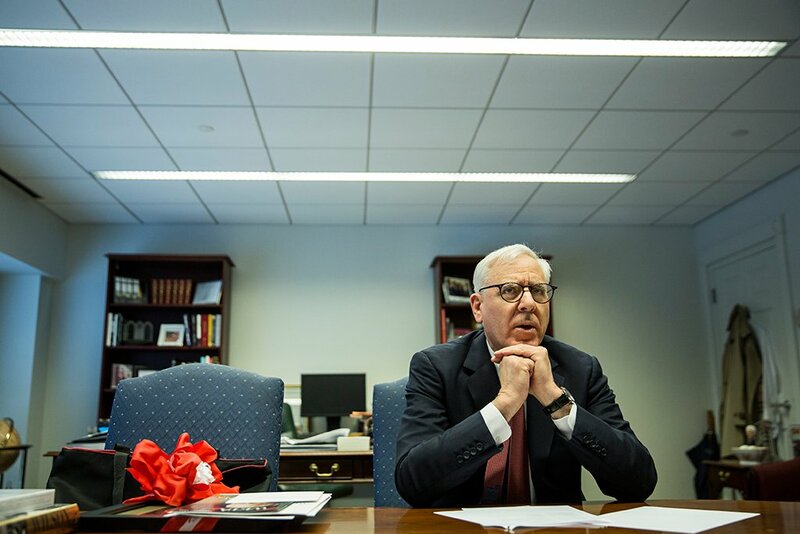 For his part, Rubenstein prefers to think of his show as among the vanguard—a world in which one’s billionaire status grants certain indulgences that a workaday journalist, chasing the story of the day, might not pull off. He’s right. On the other hand, future historians might squint at the powerful billionaire who avoided pressing the leader of the free world on the big issues. Alternatively, perhaps—assuming we make it through this era alive—they’ll simply wonder why we couldn’t all be as sanguine as Rubenstein, who, after all, seems to be enjoying himself.